So with the holidays just around the corner, I decided a cool present to get my girlfriend would be a gaming PC. She's really into console gaming, but since dating me has slowly been getting into the PC Master Race. (Slowly but surely, my friends) The main thing that's been holding her back is her family's ancient Dell Inspirion that can barely do the things a computer is supposed to do, let alone play games. So, after pulling some extra hours at work, (and coaxing some money out of my parents) I was able to put together this beauty. The main focus of the build is to be able to play all the e-sport titles she wants to play as well as AAA titles down the line, while still being a proficient office PC. Plus, I put a heavier focus on aesthetics, since this is a gift after all, and I want it to look nice. This CPU was a great choice, as it fit within the budget, and has a very solid upgrade path. 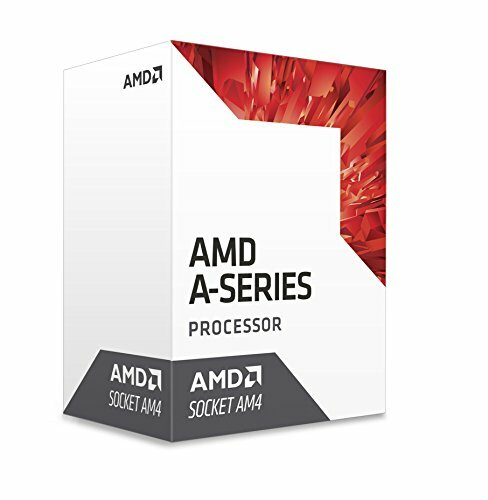 While it's true, it is a four year old CPU architecture in an AM4 socket, it's performance is still on par with the Pentiums near it's price. And it can overclock! Now that's something you can't say about most sub $100 dollar CPU's. I was actually going to go with the Pro4 mobo from Asrock, as it better fit the color scheme and had 4 dimm slots, but the rebate ended on it just before I bought the components. So, this was the cheapest B350 motherboard at the time. Right now, DDR4 ram prices are pretty all over the place, so I just picked the cheapest 8GB kit and got it. I was even considering dropping down to 4GB just save money, but I had room in the budget, so decided against it. I was originally planning on getting the non Ti version of this card, but after a miraculous influx in cash (thanks Dad) I bumped up to this. This card's dual fan setup allows for cool and quiet performance, while also having one of the higher boost clock speeds on a 1050 Ti. Plus, it fits perfectly with the color scheme. Since this PC was also going to replace her family's current office PC, I thought it wise to equip it with a combination of fast storage and some mass storage. I think they will all appreciate the lightning fast speeds of the M.2 over the 5400RPM drive they currently are forced to use. I fell in love with this case the second I laid my eyes on it, and knew it would be a perfect fit for this build. It's cool looks paired with it's small size made it a perfect choice. I wasn't actually planning on getting the Tempered Glass variant, but the acrylic window version was actually more expensive than the TG case at the time of buying parts, so I didn't see a reason why not to. I happened to have this PSU lying around, and since it's a pretty ok one I saw it as an opportunity to save a couple bucks. These are mostly for looks, but the case does only come with one exhaust fan, which I thought was inadequate, considering the solid acrylic front panel hinders airflow. The Problems I Had: First off, I do NOT recommend this motherboard at all. It's cheaply made, has awkward fan header placement, and just looks plain ugly. I think it would have been worth the extra $5-10 for a slightly nicer B350 mobo. Secondly, please do not use this power supply. Ever. I would have liked a nicer and newer power supply, but considering this one was free, it was hard to say no. That being said, I think it's obvious to see from the pictures the ugly cables ruin the look of the build, as although most of cables are well hidden. that big motherboard 24 pin cable sticks out like a sore thumb. The other problem we had was the cables being just too short to hide them as much as I wanted. Considering this is a small form factor case, and they're too short to effectively cable manage, is sad.If there was one thing I would change in this build, I would have bought a power supply with all black cables. Overall, I think this build turned out very well. I haven't done any overclocking as I think it's a bit unnecessary, but also because the stock cooler included with the A-series CPU's is just terrible. I'm also worried this cheap B350 motherboard will cause issues with overclocking, despite it technically supporting it. Other than that, and the problems I stated earlier, The build went smoothly, and I love the way it looks! Hopefully my girlfriend agrees! Just successfully overclocked the GPU to 1759 with MSI Afterburner! Based on the temps I'm seeing under load, I would guess I could go higher, but I'm averaging well over 60 FPS in all games varying between high and max graphical settings, so I do not really see a reason to right now. Thanks for all the positive comments! Hats off for a $600 PC that looks awesome! Great gift! Just saw a video on Hardware Unboxed that highlighted the board you chose, it only support 65W Ryzen CPUs, so in case you're overclocking and or upgrading to a ryzen chip down the line... keep that in mind :) Also, do I spy an LED strip up top? You do spot an LED strip! It was a last minute addition when I realized the case fans weren't bright enough to illuminate the whole case. I didn't realize that the mobo will only support a Ryzen 5 max and seriously stifle overclocking headroom until after the fact, which is why I don't recommend it. Thankfully, I don't think my girlfriend will care too much that it doesn't overclock too well. Looks like you managed to do as best you could with the shorter cables. Still looks great in my opinion! It does look nice and I hope your girlfriend will love it, I for one like your build! 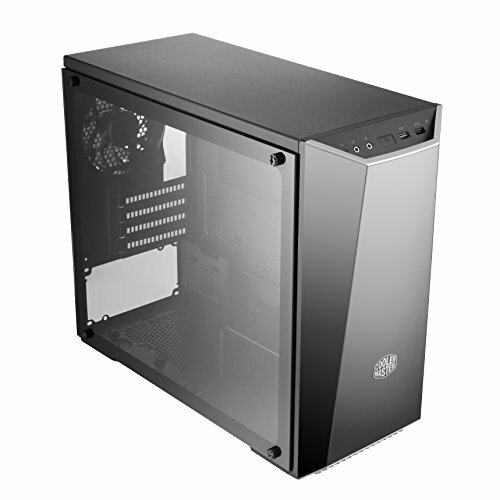 But just take note about airflow of the case, based on my experience while it looks very nice, the gap on top and bottom of the front panel is very restrictive, the temperatures might be higher than usual. Did you have to bios update board or did the x4 950 work with that mobo out of the box? No BIOS updating required! It worked right away which was really nice. As far as if it will stable overclock I'm not sure, as the stock cooler this CPU comes with probably won't allow for any over clocking, but I assume it would work perfectly fine. 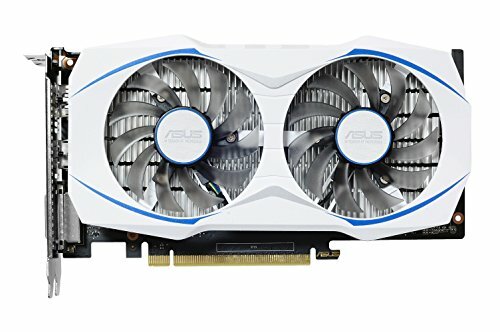 Question can this build run at 1080p with Athlon if so how well? Only ask because benchmarks I see is for 720p and I'm aiming for budget 1080p build. I only tried a couple games on the system before handing it off to the gf, but from the games I tried 1080p gaming is awesome. A mixture of high and ultra settings in Overwatch yielded just over 60fps consistently, and I'd imagine all other e sport titles would have similar results. I did notice the CPU was almost maxed out a points, so certain AAA titles may need lowered settings, but a bit of overclocking may solve this issue. I definitely recommend this CPU for you if a ryzen 1200 is out of your budget, but PLEASE buy a decent b350 motherboard, even if you go 5-10 bucks over budget. You will thank me later. Thanks for the info. I am planing a build using the ASrock B350 Pro4 I did some digging and saw that it was a good overclocking board on a budget. How is the airflow on the case? 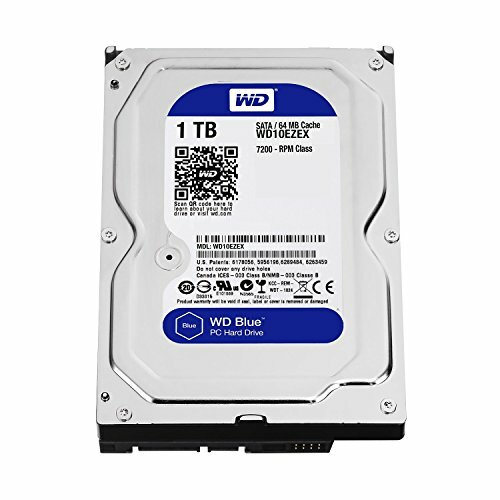 I'm planning on building my first pc with it and it seems pretty good. Airflow is pretty sub par. You'll notice I stuck 2 120 mm fans in the front of the case, since it only comes with one, and I too was worried about poor thermals due to the almost completely closed off side, top, and front of the case. Being completely honest I mostly bought them for aesthetics and used the questionable airflow of the case as my excuse to get them. If you're on a tight budget I wouldn't worry about it, and maybe just move the included fan to the front so it pulls air over the CPU cooler. Is there a putl neck ? No, I am not. Unfortunately, the case does not have 5.25'' , so you would have to use an external drive. The ASUS Dual GTX 1050 ti doesn't even break a sweat on max settings, highly recommend this build to you if you're planning on playing competitively.